It's no news that many graduates today are delving into many crafts and setting them up as side businesses. In these days of an overwhelming unemployment rate, many are exploiting their gifts in many ways. One of such is Ama Buatsin. Ama Buatsin is a University of Ghana graduate who has always had love for banana and baking. She recounts how she loved anything that looked like cake when growing up. Today, she's the brain behind Cookies and Crumbs, a bakery business that has the ever sumptuous banana bread as its signature product. "In recent times, a lot of health issues are due to what we eat. So, I bake with the health of my clients in mind," she said. Products of Cookies and Crumbs include banana bread (plain and double chocolate), oatmeal banana bread, oatmeal cookies, butter cookies, cream cakes (for birthdays and naming ceremonies). They also do birthday hampers. 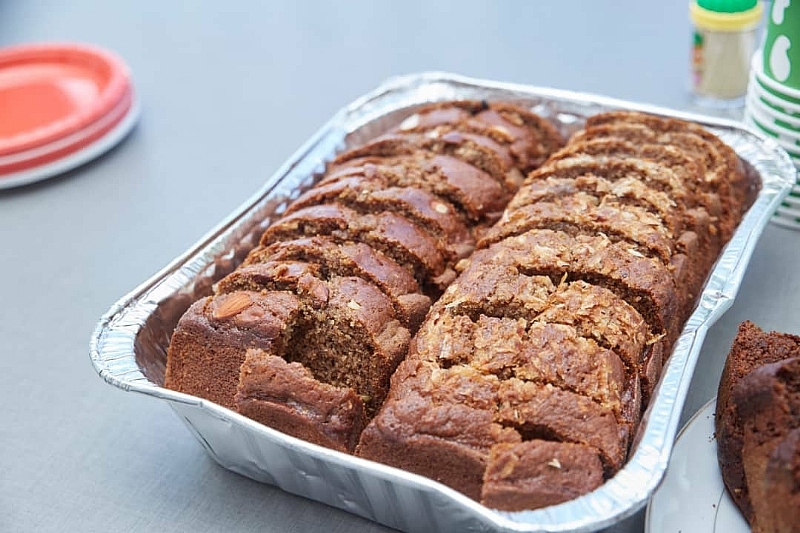 If you want to give your hard, crunchy tea bread a break anytime soon for some soft and healthy banana bread, you know who exactly to look out for. Facebook as Cookies And Crumbs. Her twitter handle is ama_buatsin.